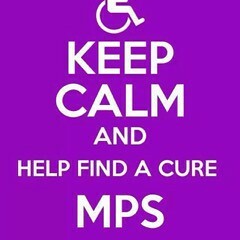 May 15th is MPS Awareness Day, a photo by MatthewEvangelistaFoundation on Flickr. Honoring Children with Rare Diseases, a photo by MatthewEvangelistaFoundation on Flickr. 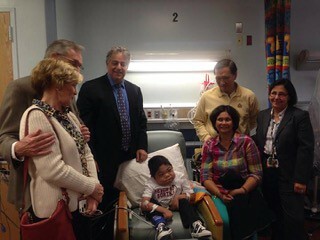 In April of 2015, Helen (Matthew’s mother) was invited by Dr. Kakkis and Ultragenyx to attend a conference in San Francisco honoring children with Rare Diseases. Helen and her family attended this conference and represented Matthew and informed others of his foundation and his current condition. 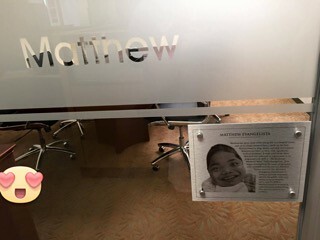 While there, they visited Ultragenyx (Dr. Kakkis Pharmaceutical Company) where they saw that a room had been dedicated to Matthew. Enzyme Replacement Therapy, a photo by MatthewEvangelistaFoundation on Flickr. 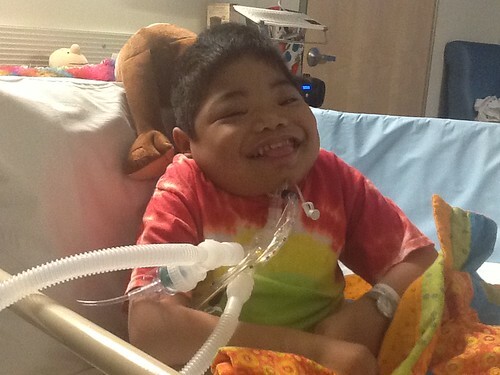 In the Fall of 2013, Dr. Emil Kakkis reconnected with Matthew and asked to start him on a clinical trial involving an Enzyme Replacement Therapy. He had been working on this for years and finally, he came back to us with it as soon as he could. It was very timely, as Matthew’s symptoms were worsening and it didn’t seem as any relief were in sight. 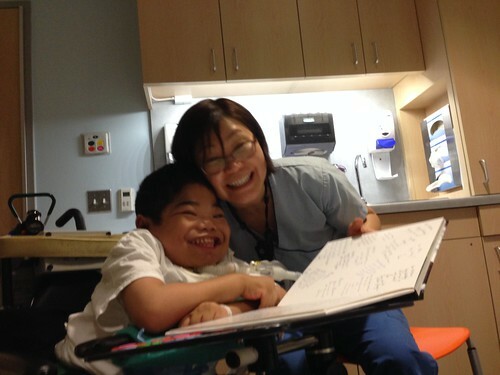 And in historic and somewhat surreal fashion, on in October of 2013, Matthew received his first infusion from Dr. Sly (the physician for which his syndrome is named) and from Dr. Kakkis. It was a great day and really momentous in the care of Sly Syndrome and other MPS disorders. We were so happy we could be a part of it and that Matthew could receive this at such a crucial time. 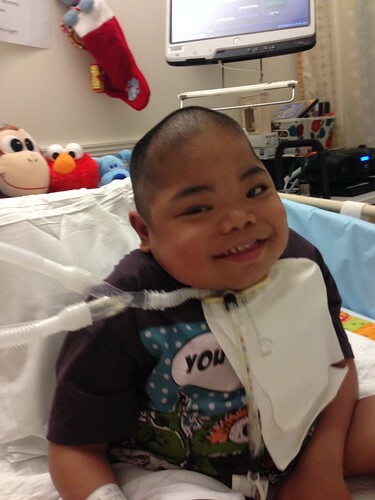 Since then, he has continued his ERT (Enzyme Replacement Therapy) with great results. HIs symptoms have been alleviated and his comfort levels have definitely increased. We are so thankful to Dr. Kakkis and his staff for their never-ending support and persistence. Greetings, a photo by MatthewEvangelistaFoundation on Flickr. Thank you so much for all your love and prayers…. I’m on my 11th infusion and going to my 12th…so far so good ….my liver and spleen shrink and the gag accumulation test in my body was decreasing a lot … This is a good news so far. This coming January 8th is my 12th infusion … And there will be a blood works to be done to see how is my improvement going on…. I will keep you posted what will be the results are. Please continue praying for me and so do I … To prolong and for me to have a quality of life. Thank so much for all the LOVE AND CARE….I have seen to all of you. Matthew’s video with mommy a video by MatthewEvangelistaFoundation on Flickr. Matthew, a photo by MatthewEvangelistaFoundation on Flickr. And more…, a photo by MatthewEvangelistaFoundation on Flickr. More picture with her…, a photo by MatthewEvangelistaFoundation on Flickr. Matthew with Joanne @ St Mary’s lobby, a photo by MatthewEvangelistaFoundation on Flickr. More pictures…, a photo by MatthewEvangelistaFoundation on Flickr.